It was all a dream! 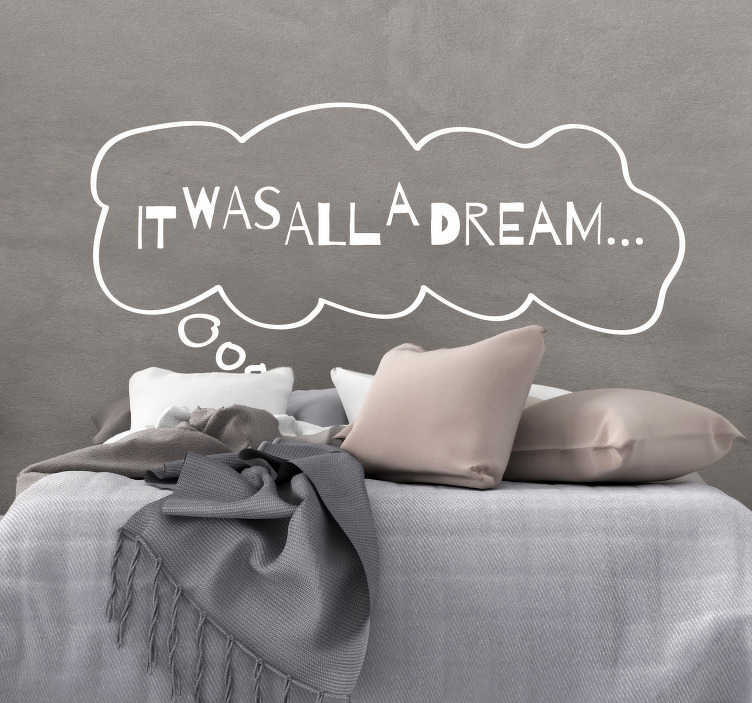 I used to read Word Up magazine... One of the, if not the, most iconic lines in music history, from one of the, if not the, most iconic songs in music history, and now it can adorn your wall thanks to this superb headboard sticker! Ideal bedroom decor for those who love Biggie Smalls and wish to pay tribute to the legend himself in the most aesthetically pleasing way possible! Choose your size, your colour and buy now!